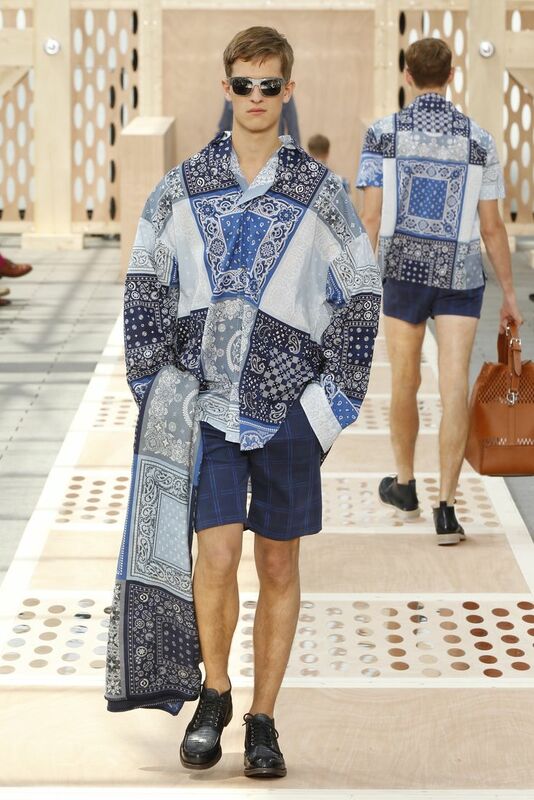 There was much debate around the house about whether or not I should post about this at all…..
Something that really gets my engine humming, something like the Louis Vuitton Men’s Spring ’14 collection. In 1997, Marc Jacobs was named the Artistic director for the house of Louis Vuitton bringing a glamorous, youthful edge to the almost 150 year old luggage line. 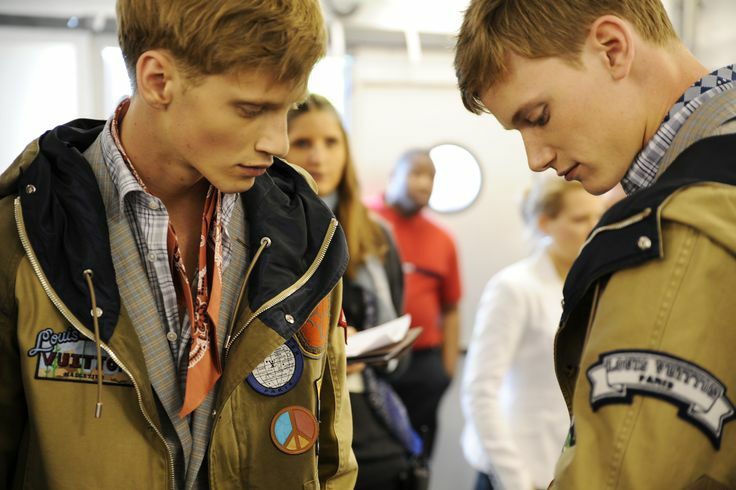 He also introduced the company’s first ready-to-wear lines for men and women. 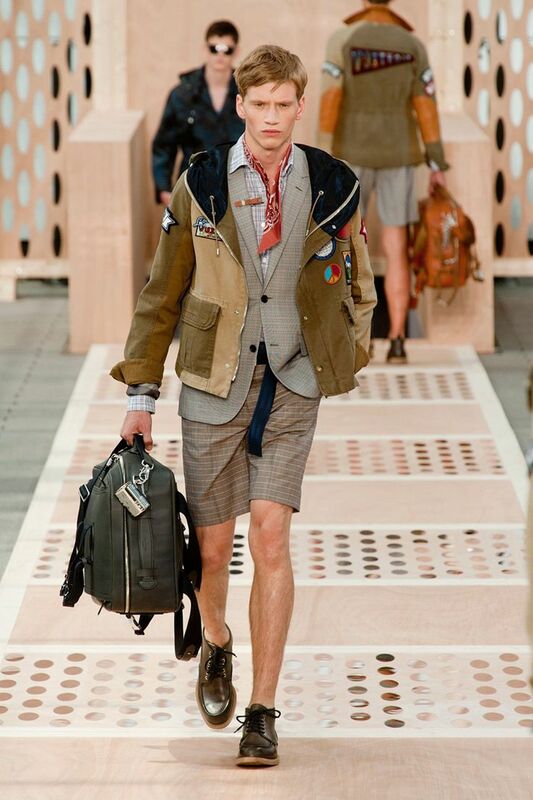 Like this A-Ma-Zing-Ness of a spring collection inspired by an American road trip. Something that inspires me daily. 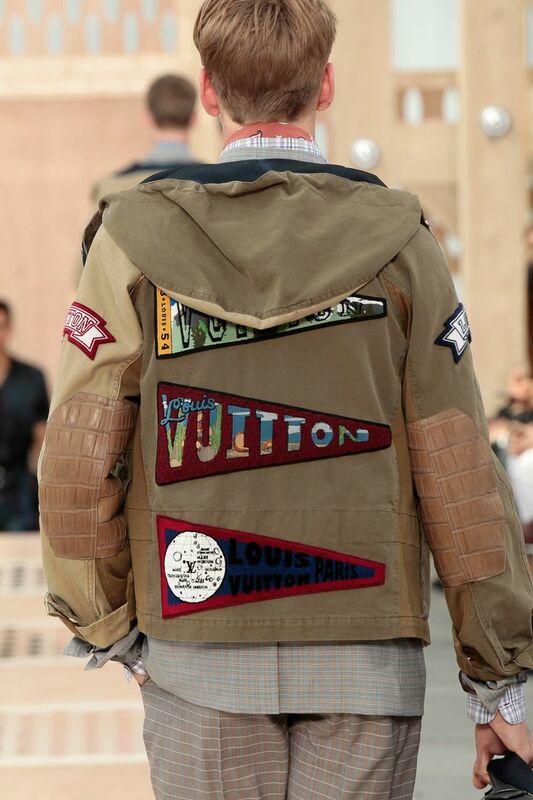 Y’all can see the whole runway show at Louis Vuitton. No, we will never own any of this. But a boy can dream, can’t he? Sorry for the interruption, now back to our regularly scheduled “House Stuff”. Oh, honey, feel free to drop in with these little non-house posts every now and again. I loved it. It is sort of geeky chic prep in my book. 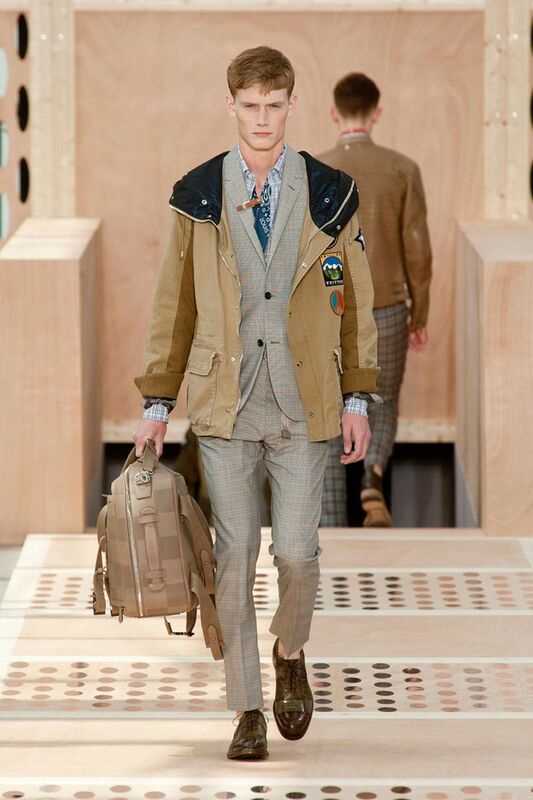 I particularly love the ‘boy scout’ look. 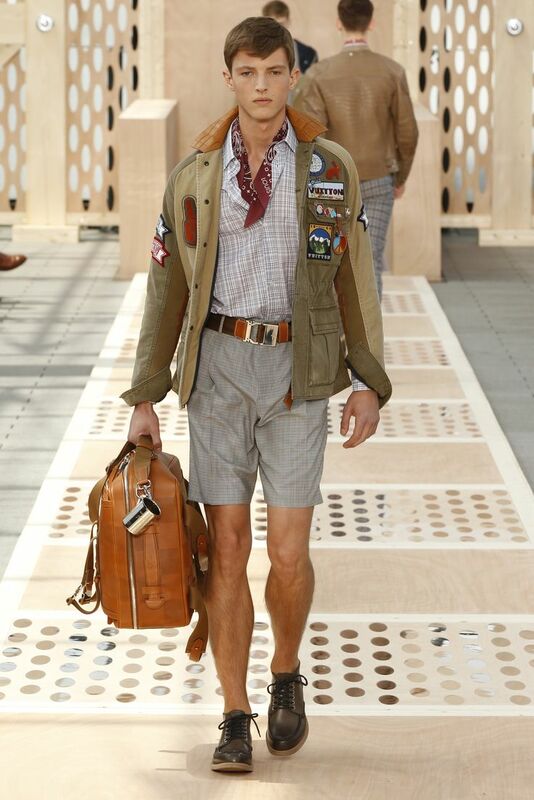 I know you pinned ‘Americana’, but I am also getting an Ivy League/Indiana Jones vibe. Is it just me? 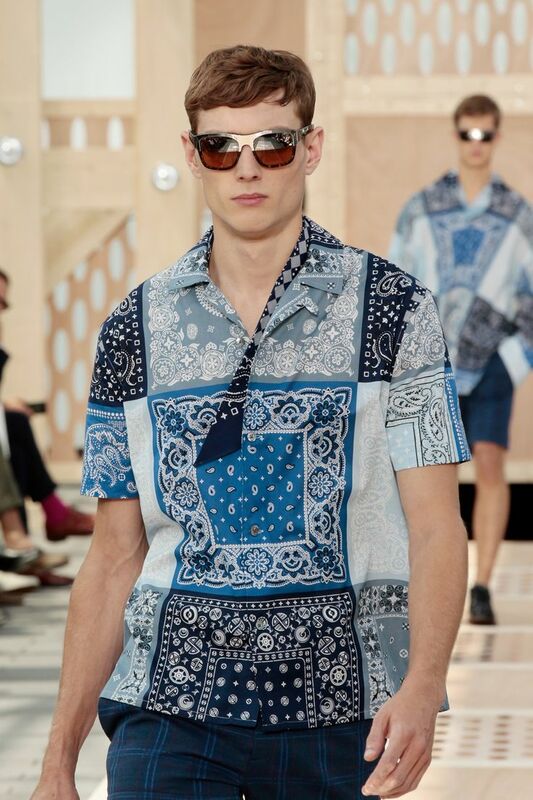 Regrettably, I gave away a Lucky Brand shirt that looked a lot like the Louis Vuitton bandana shirt. I bought it in 2003 and wore it for years. I’m going to go out on a limb and say I paid quite a bit less for my shirt than Louis V is charging for theirs. LOL! I have to agree with you there. I love Lucky Brand, anything with Indian motorcycles on it . I have an old old old RL shirt that’s pretty similar too. Get thee to thy sock drawer + toss everything out!